Today, 4 August 2016, Georges Abdallah announced that he is refusing meals for three days in French prison, in solidarity with Bilal Kayed, demanding Kayed’s release as Kayed enters his 51st day of hunger strike. “In solidarity with Palestinian prisoners who are on hunger strike to protest the Israeli policy of ‘administrative detention’ and to support and demand the unconditional release of the Palestinian struggler Bilal Kayed, I am refusing meal trays for three days from today, Thursday, 4 August,” said Georges Abdallah in a letter. Six leftist Basque activists and other Arab prisoners held in Lannemezan prison have joined his initiative. Bilal Kayed is on his 51st day of hunger strike. Imprisoned since December 2001, he was scheduled for release from Israeli prisons after a 14.5 year sentence on 13 June. Instead of being released, however, he was ordered to administrative detention for a six-month, indefinitely renewable period, without charge or trial and on the basis of secret evidence. Kayed, a prominent leader inside the prisons, launched his hunger strike on 15 June. 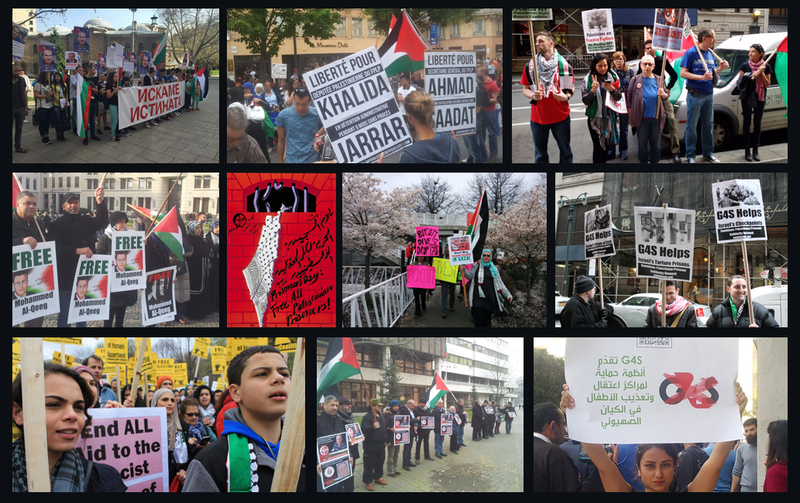 Over 100 fellow Palestinian prisoners, including Kayed’s comrades in the Popular Front for the Liberation of Palestine and fellow Palestinian prisoners across political lines, have joined the strike to demand Kayed’s release. Fellow strikers include imprisoned Palestinian leader Ahmad Sa’adat, the General Secretary of the PFLP, as well as prominent Palestinian prisoners Mohammed Abu Sakha, Ghassan Zawahreh, Ahed Abu Ghoulmeh, Hassan Karajah and Samer Issawi. His case presents a dangerous precedent for all Palestinian prisoners threatened with indefinite imprisonment after the completion of their sentences.